Congratulations to Susan Taylor of Farmers Insurance Agency! Susan has been selected to receive the 2018 Woman of Excellence award on October 10th representing Old Saybrook. Susan has been an exclusive Farmer’s Insurance Agent in Old Saybrook since 2015 but her insurance career started more than 40 years ago. Susan is an active supporter of local organizations and non-profits. She has been the co-captain of the Clinton-Cornerstone Church team volunteering for Shoreline Soup Kitchen and Pantries for the last 3 years. The team serves Wednesday evening meals every month at the United Methodist Church in Clinton meal Site to about 40 guests. As co-captain, Sue is responsible for meal planning and managing the food donations for the meals. The team’s goal is to serve the best food they can and make everything from scratch. Sue has also worked with Literacy Volunteers Valley Shore and Habitat for Humanity in the past. The Susan Taylor Farmer’s Agency is also a proud sponsor of Vista Life Innovations annual all-abilities show at The Kate. 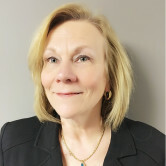 She is a member of the Old Saybrook Chamber of Commerce Board of Directors and enjoys sponsoring and volunteering at the various Chamber events. Sue’s passion for her business and her community is due in part to her desire to help people and make a difference in their lives. Her Farmer’s Insurance Agency allows her to do that with her local office and the emphasis on the personal connection with her clients. In her free time, Sue enjoys spending time with her husband Steve, her three grown sons and the grand-dogs and cats. She loves to cook and enjoys gardening. She has been an Old Saybrook Chamber of Commerce member since starting her Farmer’s Agency and enjoys the opportunity it provides to meet new people, network and engage in events. Join us for a multi-chamber Women in Business Luncheon! The Chambers of Old Saybrook, Shoreline, Clinton, Killingworth, and Madison will be celebrating successful women and their achievements at the Second Annual Women of Excellence Awards. The award recognizes outstanding women in our communities who have truly excelled not only in their professional lives but as leaders and role models in the community.